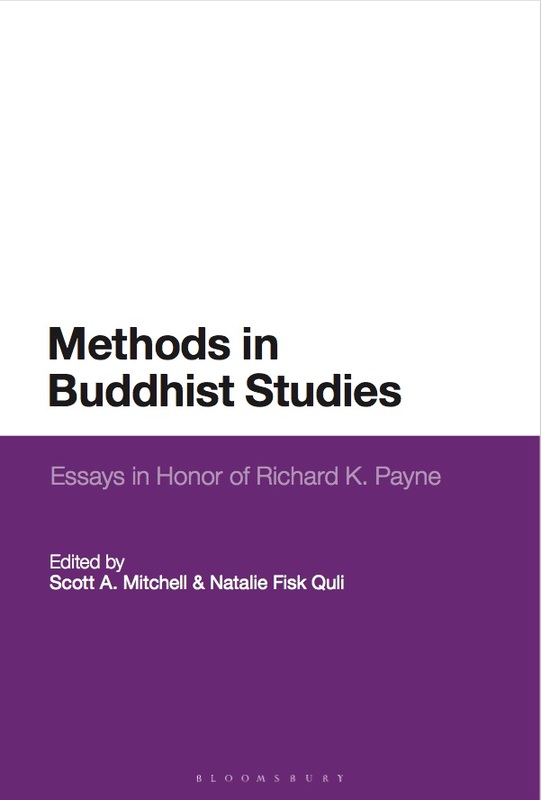 Methods in Buddhist Studies: essays in honor of Richard K. Payne, edited with Natalie Fisk Quli, London: Bloomsbury Academic, 2019 forthcoming. 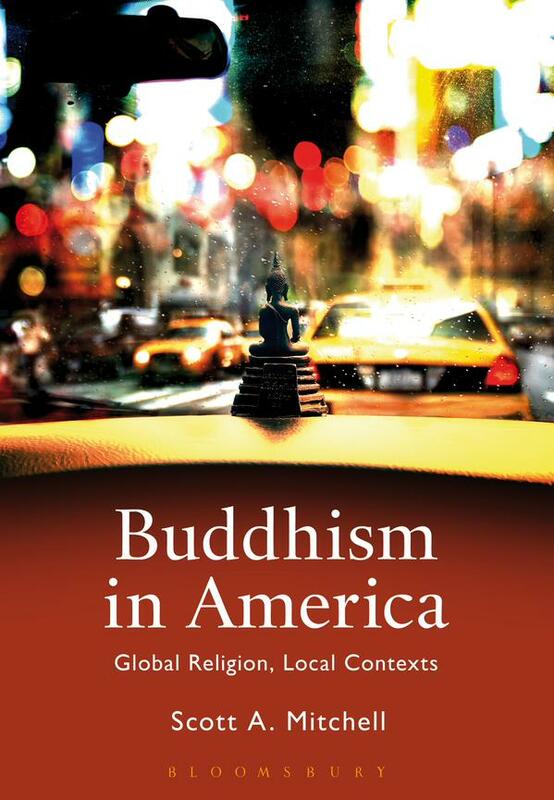 Buddhism in America: global religion, local contexts, London: Bloomsbury Academic, 2016. Buddhism Beyond Borders: new perspectives on Buddhism in the United States, edited with Natalie E.F. Quli, Albany: State University of New York Press, 2015. “Practice in Europe and North America,” in The Oxford Handbook of Buddhist Practice, 2019 forthcoming. forthcoming, Special Issue of Religions on Buddhism in the United States and Canada, 2019. “Buddhism and Media,” in The Oxford Encyclopedia of Buddhism, 2019. “English Language Sources on Chinese Pure Land Buddhism: a bibliographic essay,” in Pure Land Buddhism in China: a Doctrinal History, by Shinkō Mochizuki, translated by Leo Pruden, edited by Richard K. Payne and Natalie E.F. Quli, Institute of Buddhist Studies and BDK America, 2016. “American Shin Buddhist Music,” in Asian American Religious Cultures, edited by Jonathan H. X. Lee, et al. Santa Barbara: ABC-CLIO Press, 2015. “The Ritual Use of Music in US Jōdo Shinshū Buddhist Communities,” Contemporary Buddhism, 15: 2 (2014): 1-17. “The Tranquil Meditator: representing Buddhism and Buddhists in US popular media,” Religion Compass, 8/3 (2014): 81–89. “Introduction to the Special Section: Graduate Student Symposium,” Pacific World: the Journal of the Institute of Buddhist Studies Third Series, Number 15 (2013). “Buddhism, sacred music of,” in Grove Dictionary of American Music, 2nd Edition, edited by Charles Garrett, et al, New York: Oxford University Press, 2013. “Buddhism, media, and popular culture,” in Buddhism in the Modern World edited by David McMahan. London: Routledge, 2012. “Siddhartha: Historical Buddha,” in The Encyclopedia of Asian American Folklore, edited by Jonathan H. X. Lee and Kathleen Nadeau. Santa Barbara: ABC-CLIO Press, 2011. “Buddhism and the Beats,” in Oxford Bibliographies in Buddhism, ed. Richard Payne. New York: Oxford University Press, 2013. “Buddhism in the West (North America and Europe),” in Oxford Bibliographies in Buddhism, ed. Richard Payne. New York: Oxford University Press, 2010; revised and updated 2018 with Thomas Calobrisi. “Buddhism and globalization,” in Oxford Bibliographies in Buddhism, ed. Richard Payne. New York: Oxford University Press, 2010. “Buddhism in New Medias,” in Oxford Bibliographies in Buddhism, ed. Richard Payne. New York: Oxford University Press, 2010.
Review: Silver Screen Buddha: Buddhism in Asian and Western Film, by Sharon A. Suh. Journal of Contemporary Religion, 31 (3), 2016.
Review: Mourning the Unborn Dead: a Buddhist Ritual Comes to America, by Jeff Wilson. The Journal of Global Buddhism, Volume 11, 2010.
Review: North American Buddhists in Social Context, edited by Paul David Numrich. The Journal of Global Buddhism, Volume 10, 2009. Contribution to “Generations of Buddhist Studies” H-Buddhism Project, February 2019. “Shin Buddhism is American Buddhism,” Buddhadharma: the Practitioners Quarterly, Winter 2018. “The Moment: Yes, Buddhism is a religion,” Lion’s Roar 2 (3), July 2017. “Every Crime and Every Act of Kindness: Cloud Atlas, review,” guest post on the Shambhala SunSpace Blog, October 29, 2012. “We’re all in this together: a Buddhist response,” part of an interfaith response to Brian McLaren’s Why Did Jesus, Moses, the Buddha, and Mohammed Cross the Road? Christian Identity in a Multi-Faith World, at the Patheos Book Club, September 25, 2012. “Stephan Colbert Brings His View of Buddhism to the ‘Nation’“, guest post on the Shambhala SunSpace Blog, September 11, 2012. Guest Post: One City, A Buddhist Blog for Everyone, January 2010.